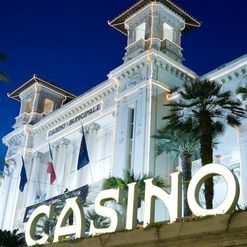 Day 1B at the PokerStars European Poker Tour San Remo €5,000 no-limit hold’em main event took place on Friday and the turnout for the second staring flight was even stronger than the first with 656 players in action. That makes the total field size a European record 1,240 players. There were 344 players that survived to day 2 from day 1B, and the chip leader from today is Michael Eerhart who holds 247,800. That makes him the overall chip leader in the tournament. Close behind Eerhart is Team PokerStars pro Bertrand Grospellier with 232,200. Dermot Blain also had a strong run on day 1B, ending the night with 211,800. Other top professionals that finished day 1B with six-figure chip stacks were Quinn Do (187,500), Team PokerStars pros Sebastian Ruthenberg (125,100) and Jason Mercier (117,600), and Chris Bjorin (109,300). Blain won the hand with quad queens and he eliminated his opponent. Blain grew his stack to 250,000 after the hand.